Although it is hard to enjoy a true love of my life this time of year, the days are getting longer and I am constantly anticipating getting out on the links in the High Country. 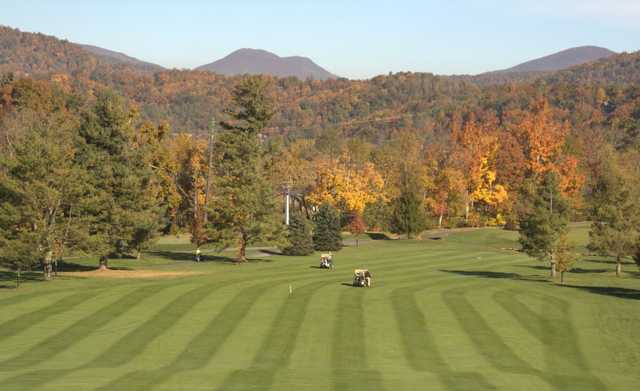 Golf in the High Country offers an abundance of exciting opportunities that allow you to explore and experience the true outdoor beauty of our area. The variety is exceptional, with wonderful course layouts that invite the player that loves to walk and carry his bag, to challenging courses that require the skills of an experienced mountain golf cart aficionado (or mountain goat)! 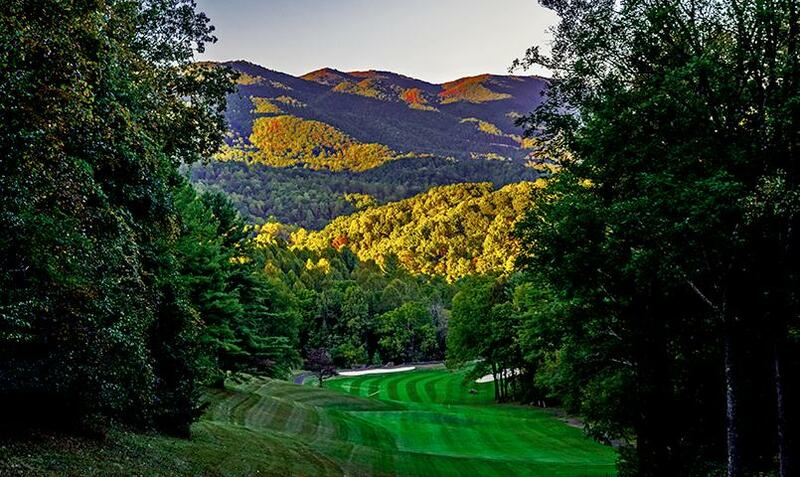 Some of North Carolina’s finest public golf courses can be found in the High Country! 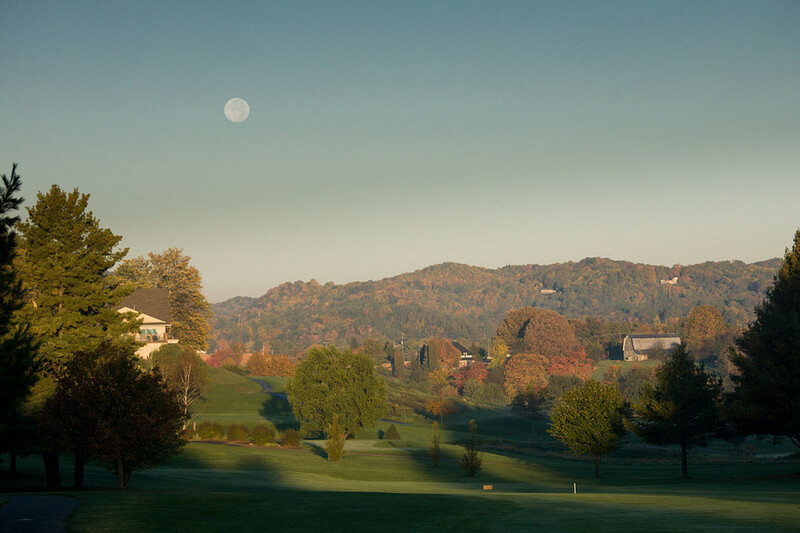 Right in our backyard: Boone Golf Club! 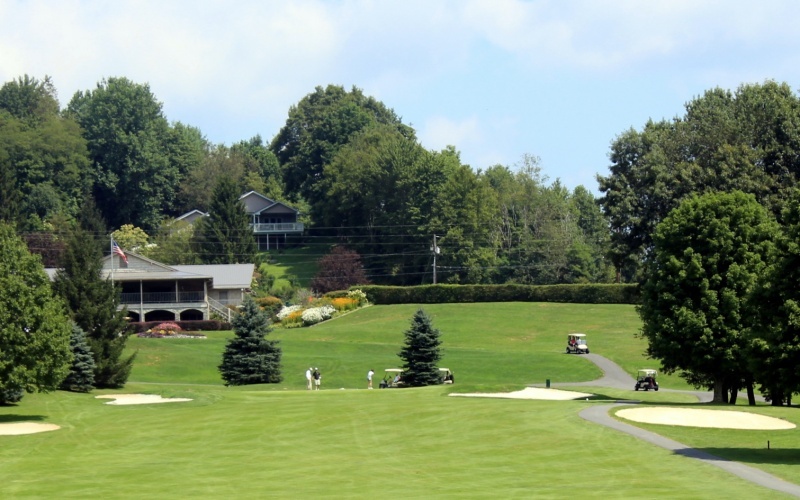 Rated 4.5 stars in Golf Digest, Boone Golf Club offers a scenic course that is playable for beginners but also offers a challenge for “seasoned” golfers. In addition, a Pro Shop stocked with the latest fashion and equipment and a delicious Fairway Cafe with food provided by Boone’s famous Casa Rustica Restaurant. This course is open to the public if you are staying at Eseeola Lodge in Linville, North Carolina. 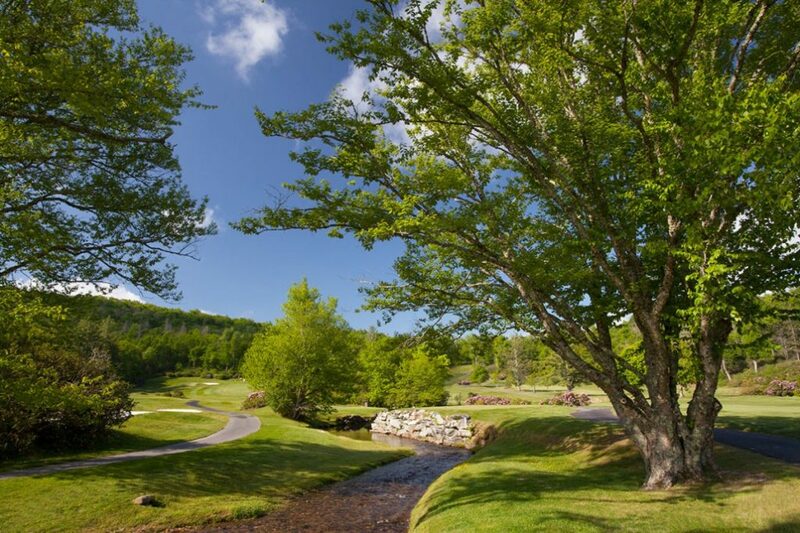 As Golfweek’s #5 best course you can play in North Carolina, the Linville Golf Club designed by the famous Donald Ross has been challenging golfers since 1924. This 18-hole course was handcrafted around the land’s original contour and has never undergone major redesign, so the course remains authentically to Donald Ross’ design. In Newland, North Carolina designed by notable golf course designer George Cobb, this course has never had to be changed in over 50 years. “He strove to create attractive layouts that the average golfer would find enjoyable, not punishing.” In addition to the course, Mountain Glen offers a clubhouse with a stocked Golf Shop and grill–famous for their hamburgers and fries. 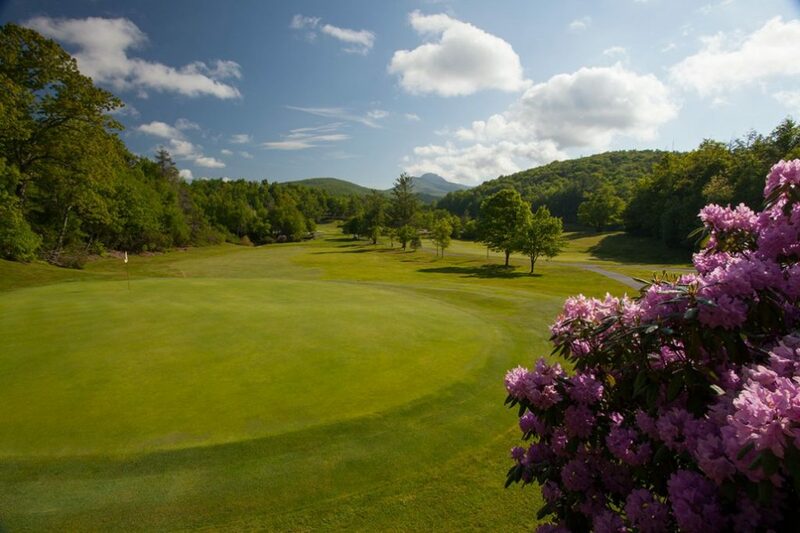 Mountain Glen’s website even offers a virtual tour of each hole, so you can visualize what you might be getting in to! 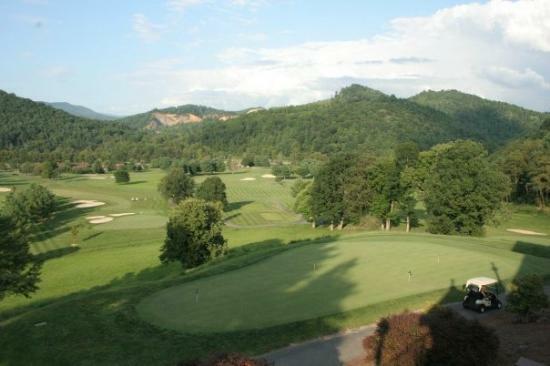 When leaving Boone and driving into Tennessee, you could encounter the Redtail Mountain Resort Golf Course in Mountain City, Tennessee. Designed by Dan Maples, this 18-hole course offers some of the most breathtaking scenery and invigorating shots you will find on any course. With 400 feet of elevation change, the beautifully maintained course provides any level of golfer a challenge. You don’t have to drive very far to find a great day in the mountain air on any of these public courses! However, if you enjoy a more private golfing experience and have friends in high places (no pun intended), you should experience the delight of one of Golf Digest’s top 100 courses, Grandfather Golf & Country Club. “Grandfather’s breathtaking location, diverse amenities, and core values continue to elevate our family experience. Charming homes and lifelong friendships are immediately evident, yet they are just the beginning of the Grandfather story.”, quoting their website. There is also Elk River and Diamond Creek in the Banner Elk area. And you can’t omit Hound Ears, Linville Ridge or Blowing Rock Country Club. 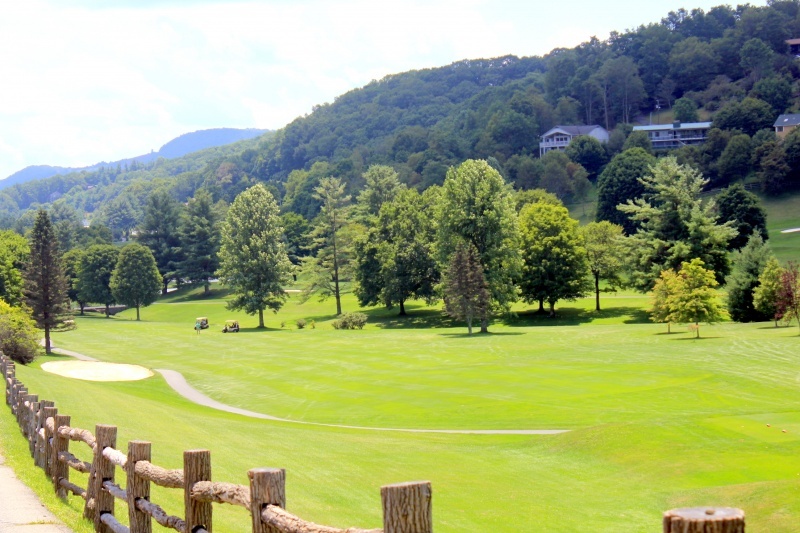 Lastly, Beech Mountain and Sugar Mountain offer a fun golf getaway as well! Bottom line, there is a whole lot to love if golf is one of your sweethearts. And you will be teeing it up sooner than you think!! !